This week I did something that has been on my bucket list forEVER. 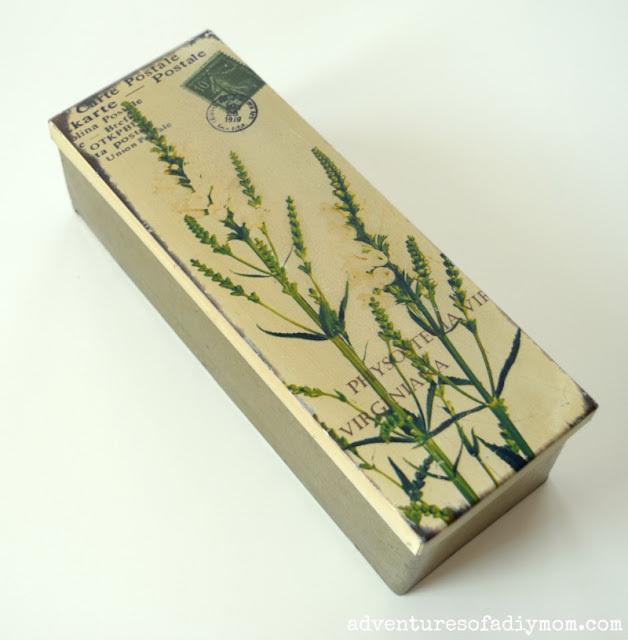 I gave a facelift to a little tin box that we keep our bookmarks in. I think it turned out pretty cute. 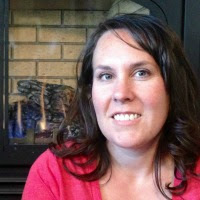 In our family reading is super important - not just for my kids, but for myself. It honestly helps me keep my sanity. If I can read for a while each night, I can handle just about anything. I'm always encouraging my kids to read - these last few weeks of summer I've been a little bit slack with later bedtimes than normal. But with school starting soon, we're trying to get back in the routine. We always have bookmarks laying around. I realized that this tin was the perfect size to corral them and since then this has been their home. However, I never really liked the lid. It's just not my style. A couple quick coats of spray paint and a simple quote on top, and I'm wondering why I didn't do this sooner. Now it doubles as decor on my bookshelf. 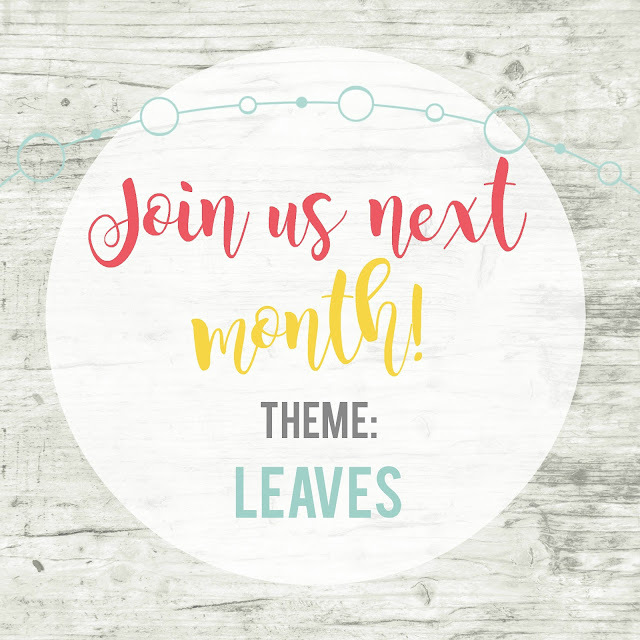 It's already the second Wednesday of the month, so it's time for the Inspire My Creativity Link Party. This month's theme is Back-To-School crafts. Be sure to check out all the creative ideas below. If you have a back-to-school project, be sure to add it to the link up. I'd love to see your creativity!! I love the change you made to the box! So much better. Also, what a great idea to keep bookmarks in a box like this. I have them floating all around and when I'm looking for one I can't find them. 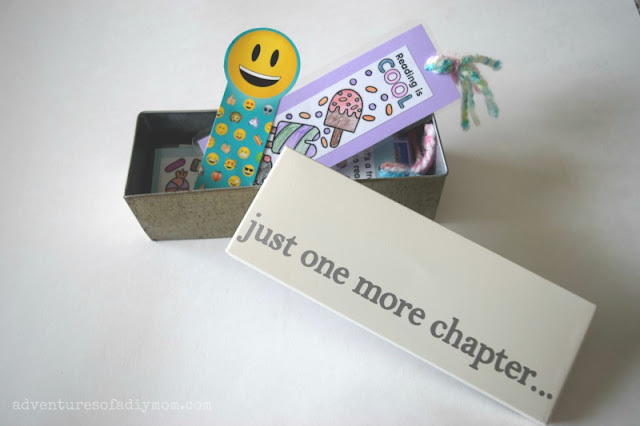 Adorable box to keep all the bookmarks in one place. 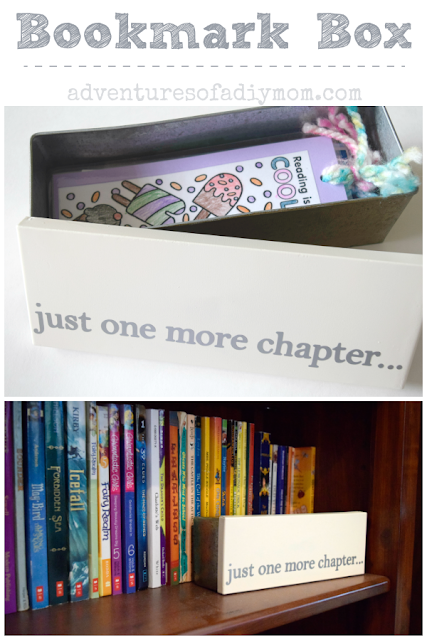 I loved bookmarks when I was little and I still have mine in my box. 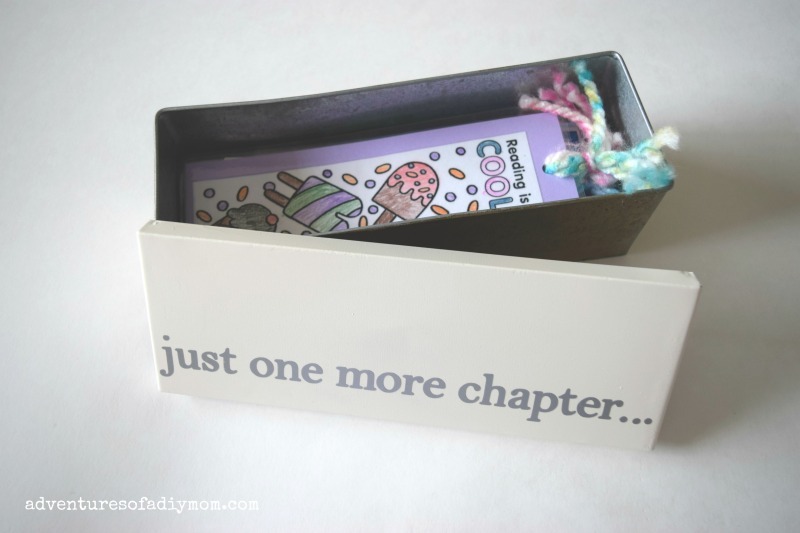 I've never thought of a bookmark box, but I really want one now! This turned out so cute! This is really smart! I need a bookmark box for our shelves! We are huge readers in our house! I love this so much! 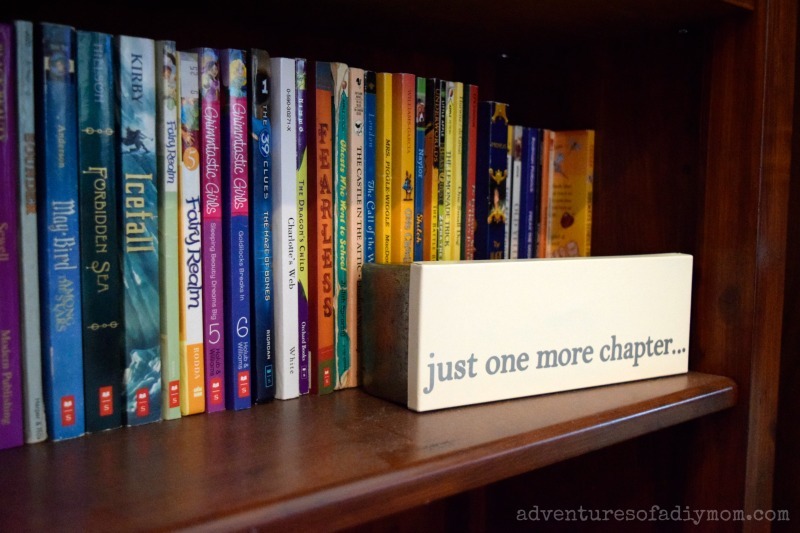 The "just one more chapter" is the perfect quote to put on top.